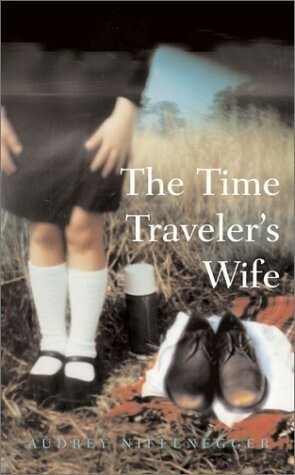 For today, I offer my favorite time travel books. What are yours? What have I missed? I read this when I had the flu, and all I could do was cry and sneeze, becoming a snotty, snobby messy. Clare and Henry are like any other couple—except that Henry randomly time travels without control or warning. This results in twisted interconnected existences, with the two crossing paths from childhood to old age at different stages of each other’s lifetimes. There is also a broader metaphor at work here of genetic disorders—if you knew your child would suffer from something dangerous and heartbreaking, would you still try to become a parent? Clare and Henry have to decide all this and more in this twenty hanky tearjerker. 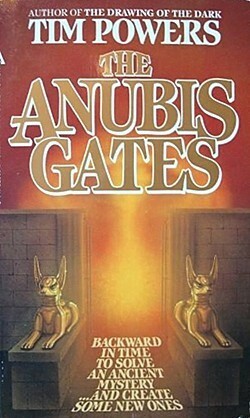 The Anubis Gates is sometimes cited as one of the first steampunk novels, though it contains no actual steam-powered technology; it is, however, steeped in Victorian atmosphere. Professor Brendan Doyle goes on a time travel trip with an eccentric millionaire and winds up stuck in 19th century London. Forced to assume a false identity and scratch together a living, he falls in with a group of pickpockets, is kidnapped by magicians, finds love, and causes a paradox. This novel is especially appealing for literature nerds, as Doyle has a very special connection with one of his favorite poets. 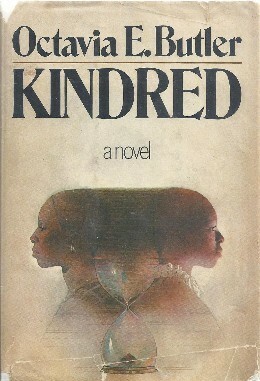 I’ve been teaching Kindred in my college literature course for several years, and students tend to respond well to it. This is a study not just in paradox (although it’s a great tool for discussing this concept, as well as questions of logic in literature) but also historical fiction, African American literature, and feminist literature. Dana is a 20th century African American woman married to a white man. She begins time traveling abruptly to the pre-Civil War South, where she meets her ancestor, the son of a plantation owner, and cannot return to her own time until she saves him from some dangerous situation that threatens his life. If she’s physically connected to her husband, she can bring him back to the past with her as well, which leads to the couple having to pretend to be master and slave. Stark, upsetting questions about identity and privilege are raised, and Butler is unflinching in her portrayal of plantations as sites of unspeakable violence. This is a time travel novel about so much more than just the science fiction/fantasy elements; it’s about the human element and trauma reprocessing, both on a personal and cultural level. 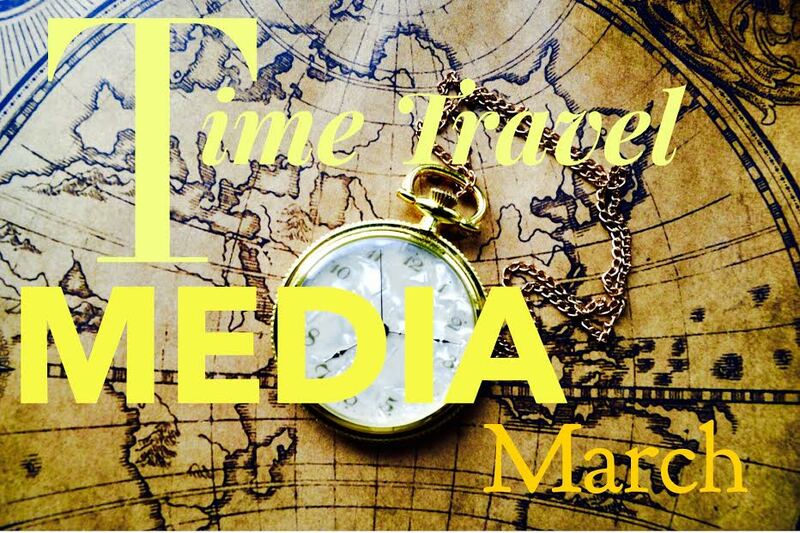 When we think of time travel fiction, we think of The Time Machine. H.G. Wells may not have invented the concept but he certainly popularized it in this story of an inventor who hits upon a way to travel through time. He goes far into the future and encounters post-human creatures engaged in class warfare and suffering grave societal ills. Much of the Time Traveler’s observations of the Eloi and Morlock factions of beings exemplify Wells’ own social and political leanings. 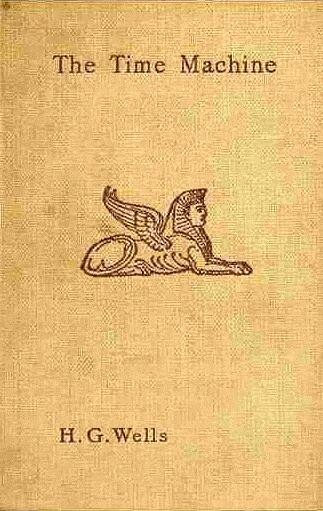 This isn’t a mere surface novel of adventure but rather a castigation of the stratification of elite and working classes in the Victorian era. This book is 880 pages long—not the weightiest tome Stephen King has ever penned, but longer than I normally have time to devote to a single novel these days. However, I devoured this in less than a month, binging on it whenever I had a free second. I distinctly recall reading it while walking to meetings, even, reading the ebook version on my phone as if my life depended on it. 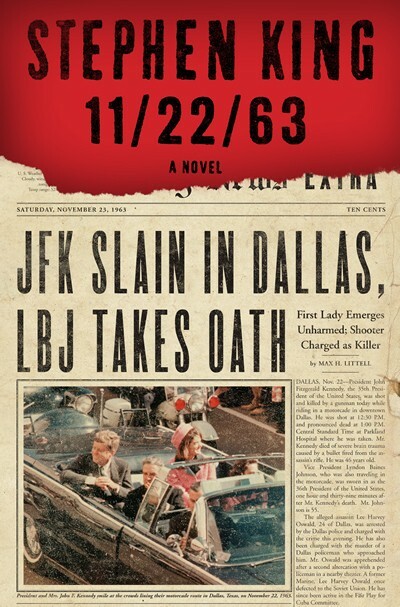 High school English teacher Jake Epping discovers a portal connecting the back room of a diner in 2011 to September 9, 1958 at 11:58 a.m. Jake eventually decides to use the portal to live in the past for five years and try to save John F. Kennedy from being assassinated. As Jake learns, preventing a tragedy on this magnitude is no easy task. The main reason I love this book so much is the clear attention to detail and research King took with it. He began work on it as far back as the early 1970s, and then later worked with a researcher to make every detail period appropriate and accurate, down the price of a pint of root beer. My own research for The Curiosity Killers took a long time, particularly for my Jack the Ripper, Black Dahlia, and Mothman storylines. Readers appreciate it when time travel stories exhibit as much painstaking historical accuracy as possible. This series is making a big splash these days via its TV series adaptation on Starz. A World War II British Army nurse is pulled backward in time to mid-18th century Scotland. There, she falls in love with a highlander and marries him, despite being married in the 1940s. This is a tale of culture clashes as well as a love story with enough ambiguity to keep it from simply being a standard romance. A work of tremendous experimentation, Vonnegut’s novel is less a plot-driven story and more an examination of how fiction works. Books are referenced within the text. Events are told non-linearly, both through time travel devices, flashbacks, and a jigsaw puzzle order of scenes. 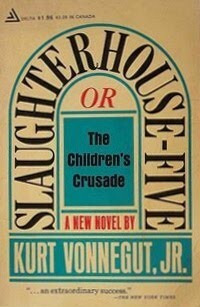 The gist of the work is that it describes the aftermath of the WWII bombing of Dresden, which Vonnegut himself witnessed. When taken as an allegory for war experiences, it can read as a study in PTSD (protagonist Billy Pilgrim becomes “unstuck in time” as a result of what he went through in the war), decades prior to its formalization as a psychiatric diagnosis. 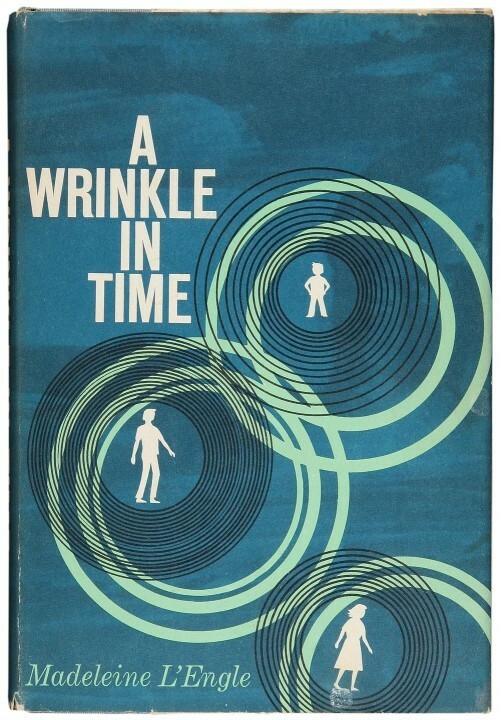 To be clear, the characters in A Wrinkle in Time do not travel to different times. 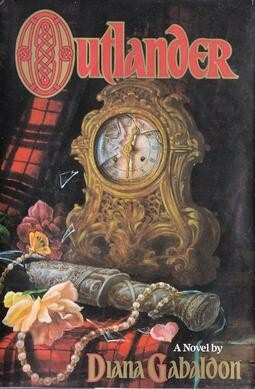 Thus, this isn’t often classified as a time travel novel per se. However, the method by which the Murry children travel to other planets and dimensions is through a concept called a “tesseract,” which the novel defines as folding the fabric of space and time (very Doctor Who’s TARDIS, in fact, which is a device that can travel in both space and time). If one folds this fabric, after a fashion, they’re able to use it to shorten great distances and reach places otherwise inaccessible to one another. Though “tesseract” is a real term in mathematics and geometry, the concept as described in this and L’Engle’s other Murry novels is akin to a wormhole, which is often put to great use in other SF works dealing with space and time travel. 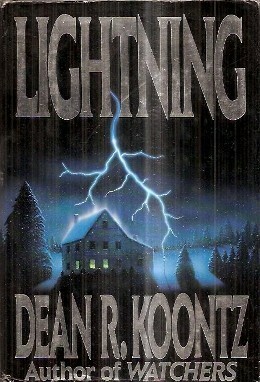 Lightning was probably one of the first contemporary novels about time travel I ever read. A mysterious stranger named Stefan rescues author Laura Shane at several pivotal points in her life, culminating in the reveal that he’s actually part of a World War II time travel experiment. Unlike some of the other books on this list, Koontz employs a mechanism whereby paradoxes are impossible, although I would argue that Stefan’s repeated rescuing of Laura by itself represents the creation of a paradox. But hey, paradoxes are fun to dissect and untangle, and I’m a big believer in readers cultivating a willing suspension of disbelief. This is the brand of time travel that doesn’t only involve machines and wormholes but also sustained sleep. 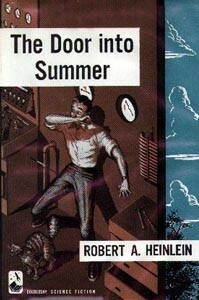 Dan goes into suspended animation in the year 1970 and awakens in 2000. Through using time travel, he is able to witness alternate versions of himself and work out his best possible future. Here, paradox is used to its fullest effect to manufacture personal and professional change—a fantasy very relatable to audiences of the mid-1950s, struggling with the aftermath of WWII and the beginnings of the Cold War. Watch this space for my top ten time travel movies, coming later this month! You can see my top ten time travel TV shows here.